Ehman, Karen. 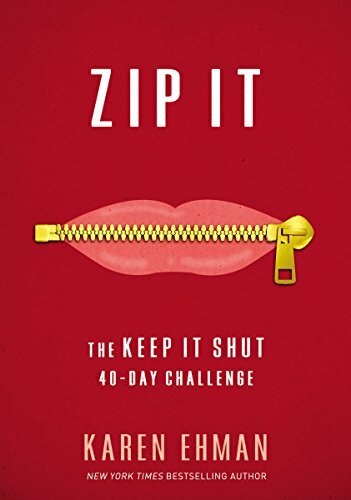 Zip It: The Keep It Shut 40-Day Challenge. Grand Rapids, MI: Zondervan Publishing. 2017. Everyone needs a reminder at some point to keep it shut rather than opening the mouth. Though not always easy, author Karen Ehman makes it a bit easier with her 40-day challenge devotional. Beginning with the many scriptures surrounding words, each short devotional progresses through a brief lesson, personal stories, relevant examples, the main ideas summarized, a lesson for the lips, and ends with a heart-felt prayer. Short and simple yet straight to the point, this useful devotional helps tackle an important skill. Though I haven’t read her book by the similar name, Keep It Shut, I was able to follow and use this devotional but perhaps not quite as absorbingly as if I had read her book previously. Apparently with a journal available to accompany this devotional, I am thinking the set of the books might work very well together. Perfect as a group ministry, a self-challenge or even a sermon series, Zip It has a good message to share and learn in a fun, engaging manner. Absolutely a book that will make you think before you talk! Bradley, Patricia. 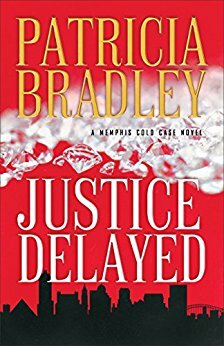 Justice Delayed: A Memphis Cold Case Novel. Grand Rapids, MI: Revell publishing. 2017. As a writer I regularly turn to for quality suspense stories, I was once again immersed in a good thriller. 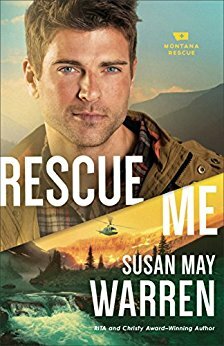 Though perhaps just a bit unrealistic in a predictable manner, I still found myself turning the pages to finish this romantic suspense-filled novel in record time. Liking the premise and most of the characters, author Patricia Bradley is one of my top action-packed, suspenseful writers. I look forward to many more novels in this Memphis Cold Case series (hopefully). Definitely an author to follow and a novel worth the read. Eason, Lynette. 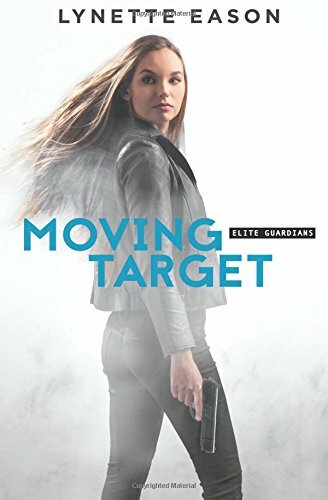 Moving Target: Elite Guardians-Book 3. Grand Rapids, MI: Revell Publishing. 2017. Gripping suspense from the beginning, Moving Target is non-stop action. With romance thrown into the suspenseful mix, Lynette Eason provides yet another excellent addition to her Elite Guardians series. Able to stand-alone, the characters are all intertwined which provides a familiarity within the series. 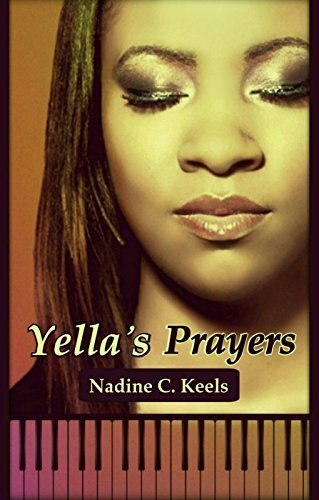 Filled with a good storyline, internal struggles, romantic uncertainty and strong characters, this action-packed novel joins the others in a now favorite series. Preuett, Lisa. Embracing the Race: 40 devotionals for the Runner’s Soul. USA: Crosslink Publishing. 2016. Organized into three page devotionals, Embracing the Race couples running with scripture and truths. 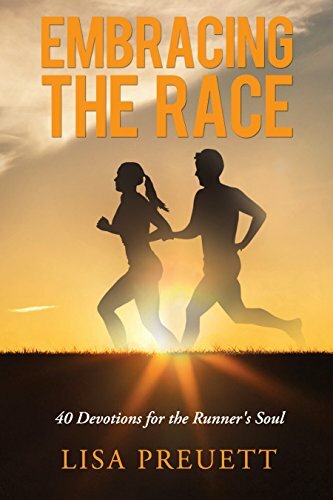 With 40 unique devotions set up in a running race manner, a running concept is transitioned into a faith-filled element, followed by thought-provoking self questions, a scripture verse, and a prayer. With personal stories, encouragement, compassion and friendly writing, author Lisa Preuett shares the journey, both running and following Jesus. Oh, how I needed this devotional right at this moment. Coming into running season with several events on the calendar, I so needed the encouragement. Finding myself agreeing (or commiserating) with most of what the author wrote, I appreciated the link to scripture and the Biblical point of view. With each devotional ending in Ready (questions), Set (scripture verse), Go (prayer), I loved the set-up mimicking a race. Relating to certain pieces, I really like some of the signs she mentioned along the race course as I have muttered a few myself (“Forward is a pace”, “It seemed like a good idea when we signed up”, and my favorite, “Can we walk now?”). But, the words of encouragement are priceless when filled with faith (“Be courageous, I’ve designed you for this purpose”, “Keep going, I promise you will get through this”, and “You cannot imagine what is waiting for you at the finish line”). An excellent choice for the runners in your life; I know it was perfect for me. Thanks, Lisa! Tada, Joni Eareckson. Libby, Larry. Grand Rapids, MI: Zondervan Publishing. 2016. As a person who has lived her life with a disability, author Joni Eareckson Tada has not let it define her but wakes up to embrace each day despite the struggles associated with it. 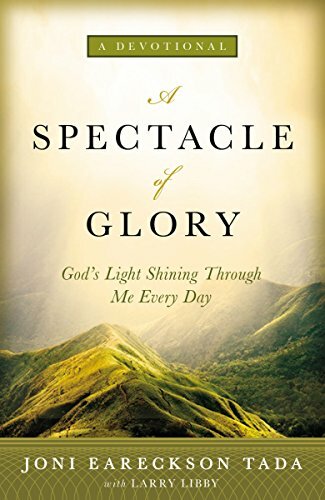 Her new devotional, A Spectacle of Glory, shares scriptures, thoughts and prayers for each day. As a yearly devotional, not only does it draw readers closer to God, but also reminds us of being made perfectly in His eyes, just the way we are. Short and simple yet to the mark. Having read many of Joni Eareckson Tada’s books through the years, of course, I was interested in her newest devotional. With many years devoted to sharing her testimony, this devotional shines for Jesus. 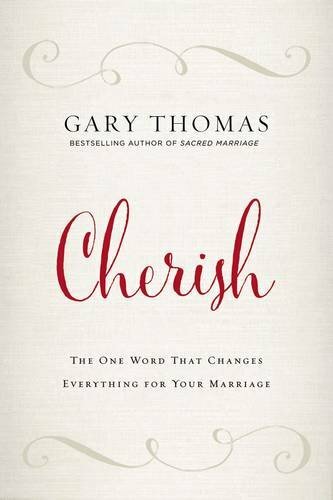 Beautifully written, I enjoy the length of each devotion but also that it is a year-long devotional. Great for the difficult times in life but also a reminder of the uniqueness of each which God designed as intended. God is good. Ortega, Yvonne. Moving from Broken to Beautiful through Forgiveness- Moving from Broken to Beautiful Series- Book 3. 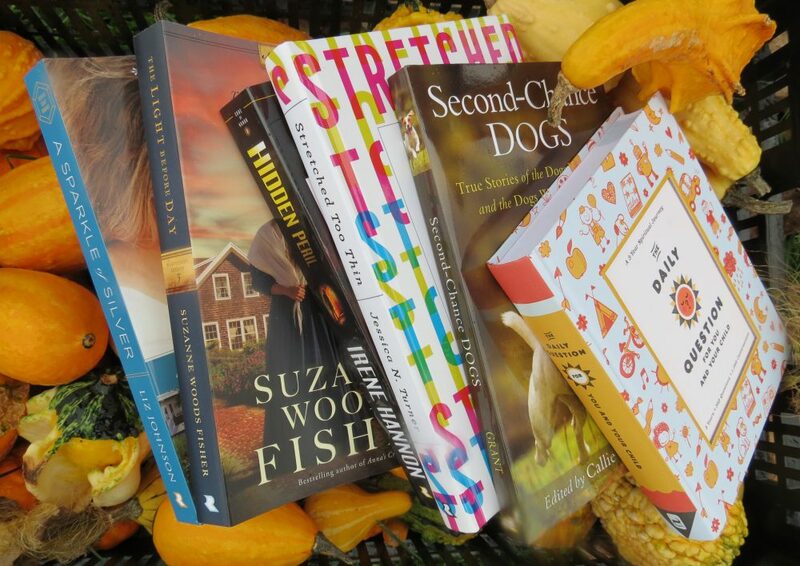 Salem, OR: Trinity Press International. 2016. Forgiveness can be one the hardest elements yet also the most restrictive or freeing. In her latest book in the Moving from Broken to Beautiful series, speaker, counselor, and author Yvonne Ortega shares her own personal stories coupled with relevant scripture to demonstrate the power of forgiveness. Outlining 12 steps to move through the forgiveness stage, both forgiving yourself as well as others, each chapter finishes with activities, affirmations and journaling pages. The freedom that can be experienced through forgiveness while moving from broken to beautiful is priceless. Sometimes forgiving ourselves can be the most difficult thing to do, followed closely by truly forgiving others. Though a shorter book in length, the messages and knowledge packed within are long. 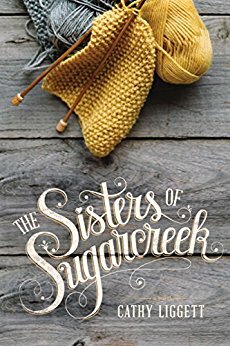 Knowing the author has already experienced many forgiving instances in her own life makes the book read more like a talk with a good friend. Based in faith, with compassion and strength, even those not realizing they need to give and receive forgiveness will find nuggets to grip. After reading this current work in the series, I plan to search for the previous books. After all, we all need forgiveness in some form. *I received a complimentary copy of Moving from Broken to Beautiful through Forgiveness from Bookcrash and the author.